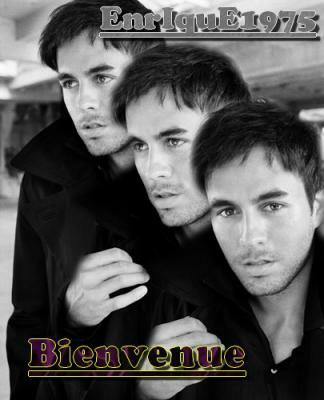 Ici vous rentrez dans un blog 100 % Enrique Iglesias. photos, vidéo breff rien que de lui quoi. Si vous n'aimez pas mon Enrique sa sert a rien de venir ici . loving someone that's in a rush to throw you away. to be the last one to know the lock on the door has changed. I can't get it to speak. I could fix the pain that bleeds inside of me. There's question is she needing? Another side of a man I can not be. It's a scene that's never-ever happened to me. You can never tell what the next thing in life could be.